It turns out it’s all about Christmas. 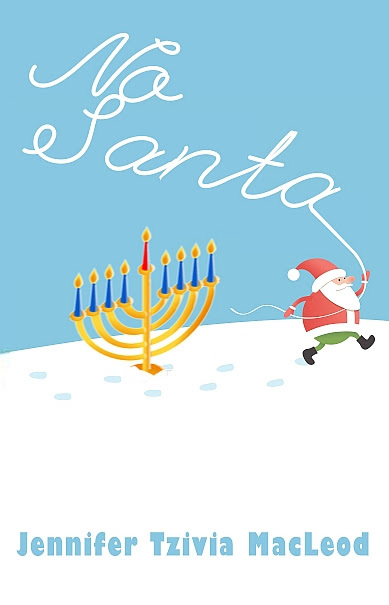 It’s called No Santa!, and there’s a picture of the jolly guy himself right there on the cover – chased by a menorah. Why did I write this book? Why davka (specifically) about Christmas? Because Christmas just is. Even for Jewish kids, if they’re growing up in North America (or any country other than Israel), it’s not possible to avoid it or sidestep it. And many kids, even if they are Jewish, grow up celebrating it in some way. Of course, stockings don’t fill themselves. On December 24th, before bed, we’d put out cookies of some sort for Santa. I don’t remember if we left him milk with it. Probably. It was cute. We were totally adorable. We have pictures of ourselves on Christmas morning, in jammies and bathrobes, surrounded by wrapping paper. Some years, there was a menorah in the background, too. 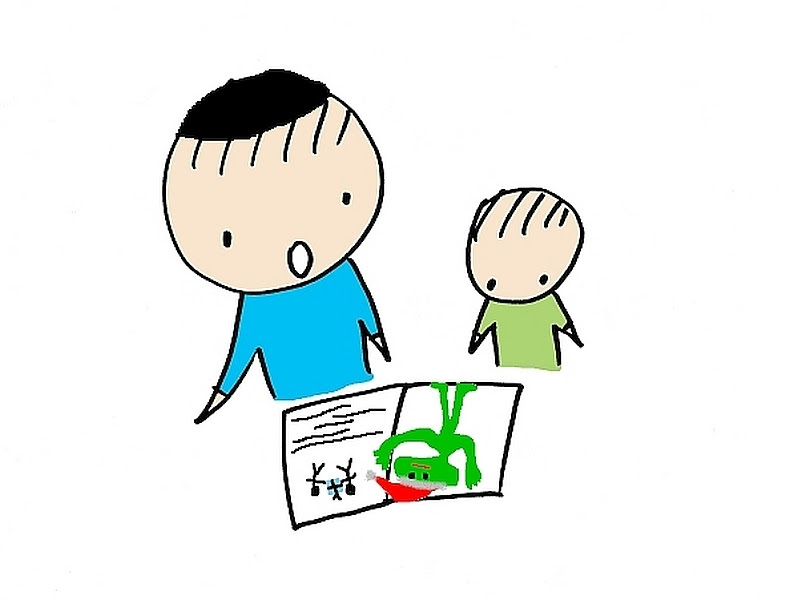 I’ve known many kids whose parents started getting more involved in Judaism later on. Making choices about schools, keeping Shabbos, eating kosher. 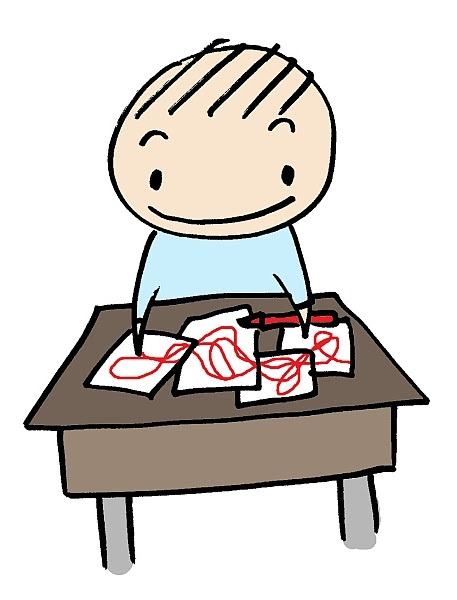 As a parent, taking it on it when you already have kids is a huge challenge… but I wasn’t interested in writing a book for parents. I wanted to write a book for kids, about a regular boy named Miles whose parents are going through these changes. He’s 11: old enough to have some ideas about what’s going on, and getting close to the breaking point with all these big changes in his life – and with the loss of control as his parents make huge decisions without him. When his mom announces that Santa won’t be coming by on December 25 anymore (even though he’s too old to believe in Santa), Miles knows this is the limit. He’s not giving up Christmas that easily, and he decides to take things into his own hands. My own parents stopped “doing Christmas” when my sisters came along. I’ve always blamed my sister: she came home from her (church-based) nursery school explaining that Jesus brought us presents. To be fair, my mother insists that’s not true, but I’m not sure if she’s defending my sister or if it really never happened (how could i have made it up?). Either way, no more Christmas for me, either… until I was an adult. The first year I was with my ex-husband, we had the most magical Christmas at his mother’s house. It was exactly what I’d always imagined. I sewed our pair of stockings myself, out of red and green velvet, on my mother-in-law’s machine. We hung each stocking carefully from her mantel, accompanied by a muslin bunny rabbit dressed in a matching velvet outfit. There was a little creche, with the baby lying inside and everything. As the token Jew in the house, I made a point of stealing the baby and substituting various secular objects, like a Coke can, or a stuffed frog. Presents waited for me under the tree, the house was strung with lights, and the turkey was stuffed to perfection, with an ocean of gravy on the side. Later on, he became Jewish, and I became more Jewish-ish, and that was the end of Christmas. Which doesn’t mean I don’t miss it, every single year. I do. I’ve never stopped missing Christmas, not since I was a kid, and not since I celebrated it with my first husband. But I didn’t want to tell my story. For one thing, it’s too short: I’ve just told you the whole thing, in about two paragraphs. Also, Miles is more interesting than I am; I really got to know and like him as I was telling his story, and I've tried to share it in a way that parents and kids of any background, Jewish or not, can read it and enjoy the book. There's no easy moral here, but I don't think kids trust that kind of book anyway. I love the fact that Miles has to find his own answers, even as his parents are making big decisions for his life... but then, I guess I'm just a little biased. You can read a sample chapter and buy the book over here. It's available now for Kindle, and within 24 hours, it’ll be out in print as well, so there’s plenty of time for Chanukah gifting, if you do that sort of thing. At 8” x 5”, the book will even fit in a decent-sized stocking. I’ve put together two freebies for my bloggy friends. I hope you’ll take advantage. 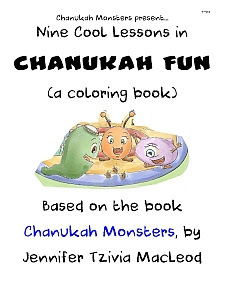 There’s a free Chanukah Fun colouring book here (you may have to join CurrClick, but it’s free, and this was easier than distributing the PDF myself), and a free Hanukkah joke book here. Help yourselves to these, and be sociable – share them with anyone else who might be interested! 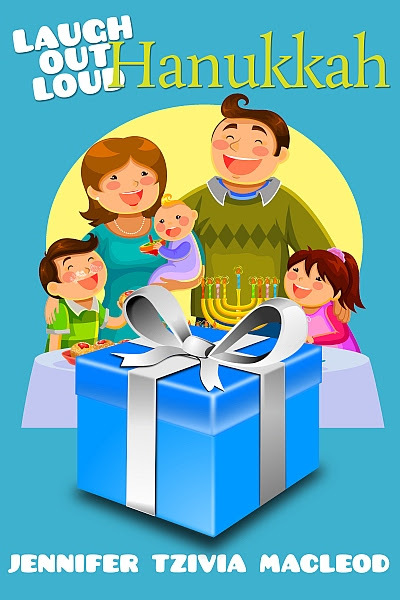 And sign up for my mailing list below to find out about even more yummy promotions and freebies, and occasionally, Jewish parenting thoughts (though okay, mostly I just blog them here).